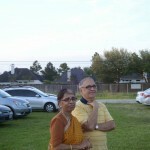 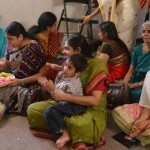 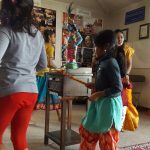 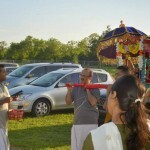 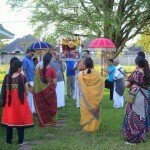 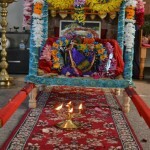 A beautiful Vasanthotsavam-themed Madhura Utsav was celebrated at Houston Namadwaar in the presence of the Divine Couple, Sri Premika Varadan and Sri Madhuri Sakhi, who traveled all the way from Dallas to Houston Namadwaar,on Saturday, April 12th 2014. 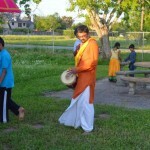 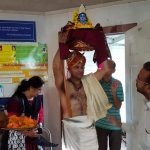 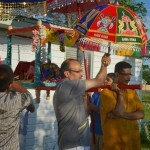 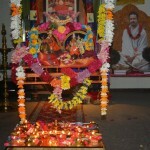 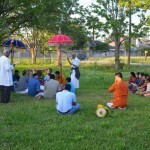 First 12 hours of Akhanda Nama sankirtan was performed on Saturday. 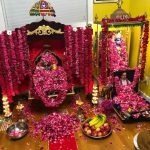 Following this, the Divine Couple were taken on a joyous procession around Namadwaar in a beautifully decorated palanquin to the singing of numerous kirtans composed by Sri Swamiji. 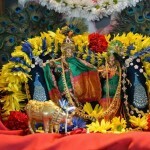 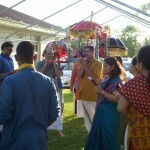 The Gopika Gitam was also recited by the devotees, during the procession, praying for Lord Krishna’s darshan. 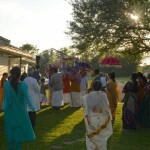 After the procession, the Divine Couple were refreshed and then seated in a decorated swing inside Namadwaar. 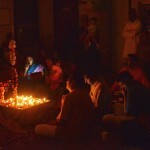 As devotees sang many songs composed by great saints including Sri Oothukkaadu Venkatakavi, Sri Purandara Dasa, Sri Thyagaraja and Sri Sri Muralidhara Swamiji, the ambience was divine as several diyas were lit and the lights were turned off. 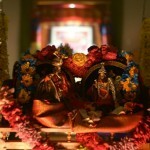 The Divine Couple looked serenely beautiful in the glowing light of the lamps, and seemed to enjoy the devotees’ singing. 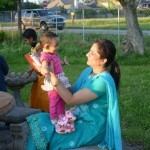 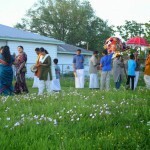 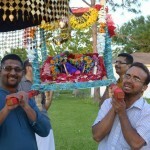 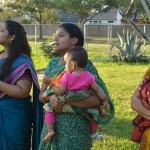 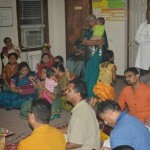 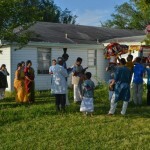 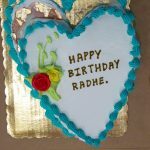 About 40 highly blessed devotees attended the celebration.